We’re big fans of the TV show on Disney XD, The Suite Life on Deck. If you haven’t come across it before, it’s the spin-off of The Suite Life of Zack & Cody, as the identical twins carry on their fun on a luxurious ship. 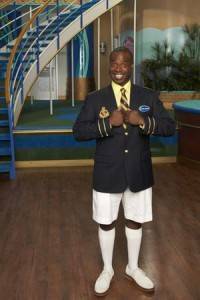 So last week James and Robot caught up with Phill Lewis who plays Mr Moseby, the ship’s hotel manager. We found out what it’s like playing Mr Moseby and what is coming up next for the show.